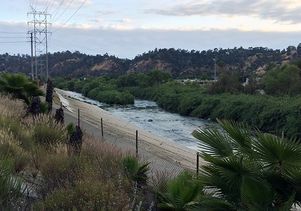 The Los Angeles River is the center of a massive restoration plan. Community leaders, environmentalists and officials all have ideas about how the river should interact with natural habitats and the many diverse communities that surround it. Barbara Romero, deputy mayor of Los Angeles, Jill Sourial, the Nature Conservancy urban conservation director, and Richard Ambrose, professor of environmental health sciences in the UCLA Fielding School of Public Health, join moderator Mark Gold, UCLA associate vice chancellor of environment and sustainability, to discuss this urban revitalization. This free public discussion is part of the the Sustainable LA Grand Challenge’s series “Future L.A.: Engineering a Sustainable Supercity.” The program begins at 7:30 p.m. and will be held in the Billy Wilder Theater. Tickets are required and can be picked up at the box office beginning at 6:30 p.m.